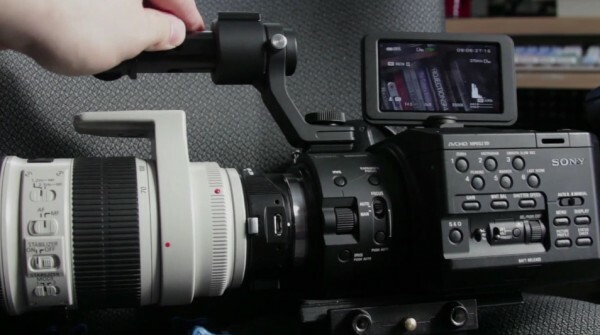 A few weeks ago we posted about the first smart adapter to come onto the market to use Canon EF lenses with Souny E mount cameras like the FS100. Demand was high and they sold out very quickly. Bryant Naro was one of the lucky few to get the first batch and he has uploaded his review. Overall it looks like the $399 price tag gets you full functionality of your aperture and IS on most Canon lenses. Why is the lens suport upside down?